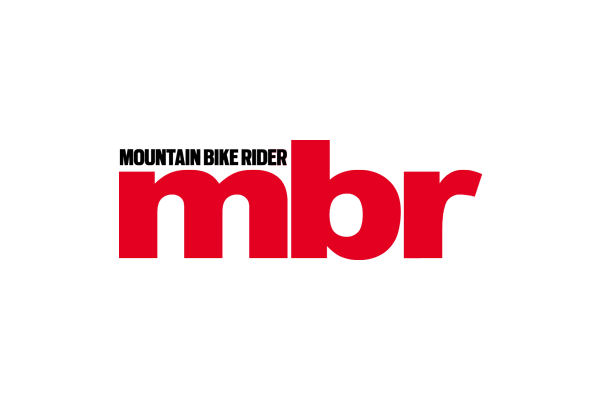 This product is featured in: MBR’s most popular articles of 2015. With clean flowing lines to the lightweight carbon frame, uber-cool graphics, dialled geometry and build kits that are out of this world given the pricing, it’s easy to see why the YT Industries Capra Pro became an internet sensation when it first launched back on February 27 2014. But can the Capra really deliver on its promise of climbing as well as it descends? Plenty of brands have made equally bold claims in the past, but few have lived up to the hype. The Capra Pro is the flagship bike in a three-model range, and as such the spec reads like a who’s who of all the best enduro components. But this isn’t simply a well-dressed bike at an incredible price; the frame quality is also first-rate. Drawing inspiration from leading bands such as Scott, Specialized and Trek, the high modulus carbon Capra frame has a feature list that’s every bit as impressive as its spec. Highlights include the tapered head tube, PF30 BB shell with ISCG tabs and 142x12mm rear dropouts. The frame even has integrated seat and chainstay protectors for a blissfully quiet ride. 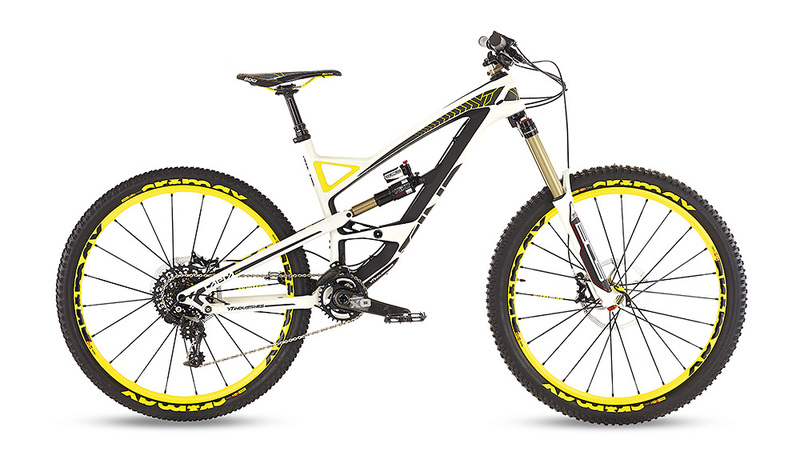 All three models in the Capra family share exactly the same frame, sporting YT’s signature V4L suspension. But thanks to the longer stroke Bos shock on the Pro edition it pumps out 170mm of travel instead of 165mm. YT has worked closely with Bos to make the pedal platform more pronounced than on the Vip’R shock that came on the Wicked Pro (the lever action is also lighter), but it’s still not lock-out firm like the RockShox Monarch Plus. Still, it does reduce pedal bob and really helps load the front end for better cornering traction on flatter trails, without having to change the air pressure in the shock or adjust the high and low-speed compression settings. Up front, the 170mm Bos Deville fork uses 20mm lowers for improved stiffness and gets high and low-speed compression, and rebound adjustment to match the dials on the rear shock. It has an impressively smooth action, and if it weren’t for the air valve on top of the left-hand leg you’d swear it was coil sprung. The YT was the only bike on test to come with an upper chain guide and it was the only bike that didn’t drop its chain. While this is relatively easy to remedy on the other bikes, it shows that YT is really sweating the details, which include a Reverb Stealth with 150mm drop, instead of the more common 125mm, and shorter 170mm XO carbon crank arms for extra pedal clearance. It’s incredibly rare that we get on a new bike and instantly think that we wouldn’t change a single thing, but that’s exactly how we felt after our first ride on the Capra Pro in the Forest of Dean. So instead of the usual swapping of the bar and stem or moaning about the sizing or some particular aspect of the geometry, we simply focused on fine-tuning the spring pressures and damping on the Bos suspension to get the bike to feel balanced on the wet, slippery trails. Three days later, on the rough, high-speed, rocky descents of northern Italy, the Capra’s geometry and superbly supple Bos suspension totally blew us away, providing unparalleled levels of grip and control. But make no mistake; the Capra isn’t simply a 170mm-travel point-and-shoot DH bike, even if it wouldn’t feel out of its depth on a World Cup downhill track. This bike is super-easy to pick up and manoeuvre, making it every bit as agile as it is capable. It also has plenty of pace when you stomp on the pedals, so grinding to the top of a mountain or sprinting up a punchy singletrack climb on a timed race stage won’t needlessly tax your energy levels. 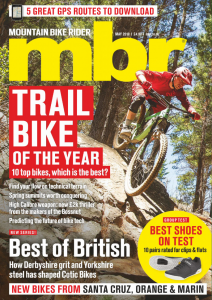 This review is from the May 2014 issue, along with the Kona Process 153 DL, Trek Slash 9 and Specialized Enduro Expert Carbon. YT has taken the fundamental shape of the Wicked Pro, improved the rear suspension, added 650b wheels and lopped off more than a kilo in weight thanks to the carbon frame. Yes, the price has crept up, but given the spec and the leap in performance, the Capra Pro is easily worth every euro and cent. With 170mm of travel the Capra Pro sounds like a lot of bike, but it really does deliver on its promise of riding the climbs like a trail bike to blast the descents like a DH rig. As such, it’s the new benchmark enduro bike against which all others will be measured.